I grew up with the Beavers. 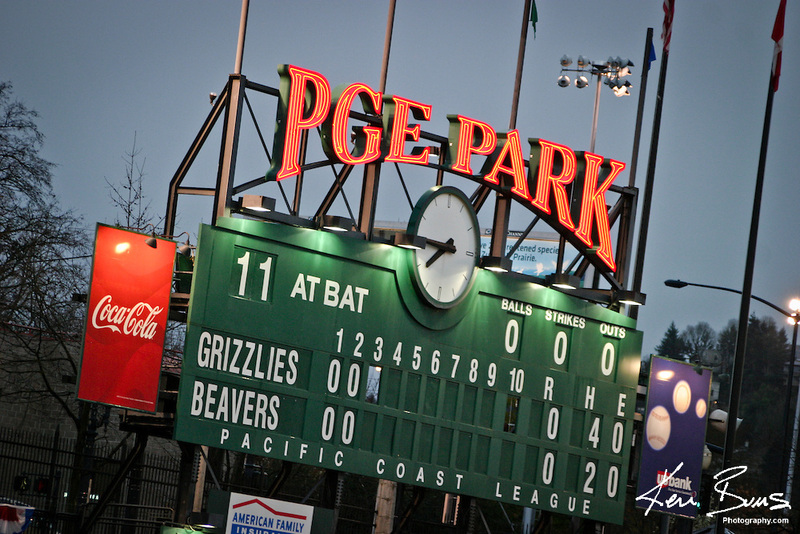 As a kid, I listened to the radio broadcasts and read the box scores of every game until 1964, when McDowell (8-0 with the Beavers that year) teamed up with Luis Tiant (15-1) to power the Beavers to a second place finish, one game behind the San Diego Padres. 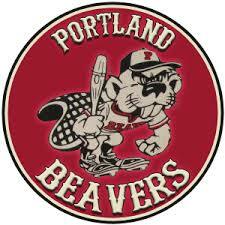 Halfway through the season, Portland traded McDowell to the Cleveland Indians and there went the pennant. Or so it seemed to the younger Beavers fans. We had labored under the delusion that McDowell was a Beaver but he was, in fact, only on loan. It took me years to forgive both the Indians and the Beavers. While technically they were well within their rights, certain of us considered them guilty of lies of omission. They should have told us outright. The bastards! So here again the season is upon us— a season every fan looks toward until their team turns to mush and the age-old mantra of wait-till-next-year replaces the optimism which had only a couple of months before pumped through the faithful’s veins. Oh, how I am learning to hate Spring, if only because I will have to endure yet another season of John Fogerty’s Centerfield, as annoying an anthem as has ever passed through ball park speakers. Well, besides that old organ “charge” travesty. I mean, can you “charge” in baseball? And BBQ and pizza? That ain’t baseball food! And have you seen how much they charge for beer…..? By the way, I reposted a couple of short pieces I had written about baseball (and music) just a handful of weeks ago. If you like real baseball, you might want to check those out… click here. And even if you don’t, here is a video which give you an idea of what baseball once was. 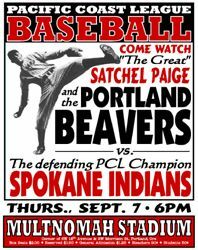 And before you make any disparaging remarks, let me tell you that Satchel Paige pitched for the Beavers in 1961. If you don’t know who Satchel Paige is, well, you just don’t know baseball. I’m cheating. I should be writing in-depth reviews of all of these albums and artists,but time has gotten away from me and, as you know, time is of the essence. Time is also the title of a Cargoe tune from their, at one time, only album. I have no idea why I mention that except for the fact that I rejoice in mentioning them every chance I get. But to the point. I am sitting on a goldmine of music and am doing you, shall we say, a favor? That’s the way I look at it, anyway, because there is some mighty fine music here and, hell, you say you can’t find any good music these days? Well, let me find it for you, eh? My buddy John Troutman has done me a few favors over the years passing along bands of distinction like Tame Impala and the like, but he completely outdid himself last week when he posted a video of Ryley Walker on my timeline on good ol’ Facebookville. He said something like “thought you might like this” but he had no idea how much. I parlayed that video and another he posted later into a connection with Walker’s label, Dead Oceans, and have been both dragged into the past and vaulted into the future by the file of the complete Primrose Green album supplied me by that label. In fact, I am listening as I type this with the beginnings of tears in my eyes, it is hitting me so hard. Walker has touches of a few of my old favorite musicians— Tim Buckley, Nick Drake, and especially John Martyn, to name only a few. It is folk and it is jazz and it is rock in such proportions that I hear the past, present and future because music like this is timeless. Oh, boy, is there John Martyn! I got into Martyn early, when he was singing with then wife Beverley, and understood exactly where he was going— until he took a left turn into jazz on the groundbreaking (for me) Solid Air album. There was something in his voice, a flowing plaintiveness which I found disarming at the very least. And the chord progressions, a combination of traditional folk with a lot of minor chords thrown in at the just right moments. And as much as I don’t want to say this, because it will sound like I am taking away from Walker and I am not, Walker has a soul not unlike that of Martyn’s— bottomless, reflective, musical but music with deep meaning. I have yet to hear this enough to know exactly what might come next but it is growing on me quickly and I admit to being carried away. No, this will not be for everyone. Nick Drake wasn’t, until Volkswagen’s ad agency showed the class to feature him. John Martyn, as popular as he was amongst musicians and critics, was certainly no great financial success, though he did nicely enough. Rfyley Walker may suffer the same fate, but I am hoping that the public still buying music is in tune enough to hear what I hear. Sometimes, you have to toss in a superstar to make people listen. Here is Martyn with David Gilmour. Again, a personal connection. Musician extraordinaire Dan Phelps started talking about Claire Holley even before he went into the studio to work on Holley’s new album, I’ve heard her songs, he implied, and I am anxious. Phelps is, indeed, the producer of Time In the Middle. I have heard other albums he has either recorded on or helped produce or produced. Since I have known Dan, he has never missed on an artist or an album, to my ears. If he says it is good, it is good. Phelps has a touch and Holley has the songwriting chops and a voice at times so fragile it could drift on a soft breeze and float away, taking you with it. Then again, she isn’t all feathers and bubbles. For instance, this track (Bones) from this new album—- Dan tracking the drums. There is the only song on the album like this and it blows me away. To be truthful, the rest of the album blows me away as well. There is an emotion to these songs magnified by Holley’s phrasing and obvious attachment to her music. You will get a good idea by listening to the music in the background of the next video. I think what freaks me out the most is that Holley is not new to recording. She has been recording for a number of years, in fact, and has a handful of earlier albums to her credit. I suggest a quick trip to Holley’s website to familiarize yourself with her work. Click here. Holy crap! I read the press release but it didn’t register until now. 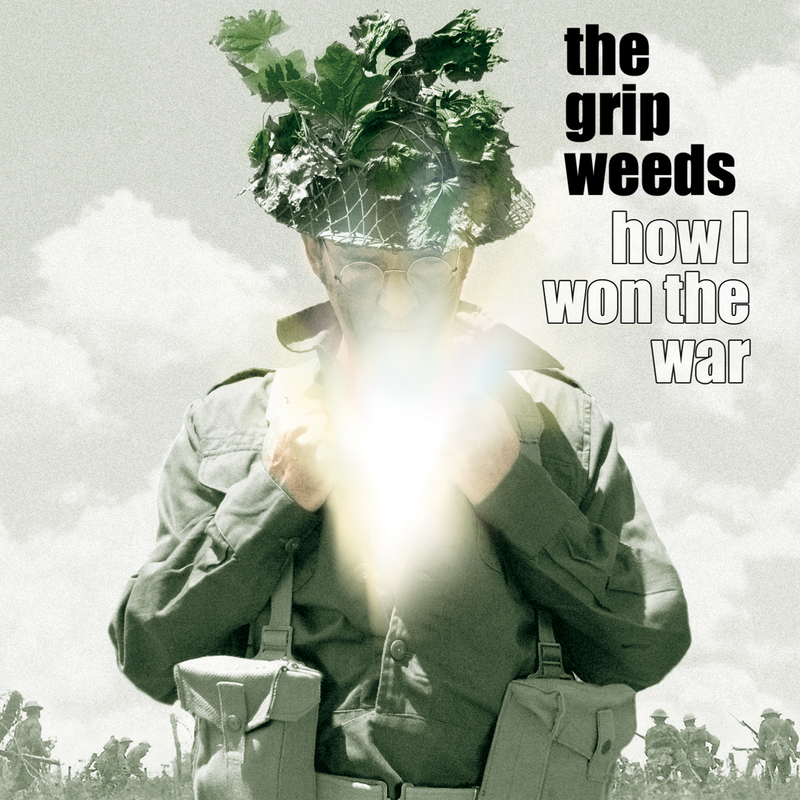 The Grip Weeds new album, How I Won the War, is being released by the legendary Marty Scott who founded JEM Imports back in the seventies and supplied stores all over the US with imported albums. I was thinking of going to work for the head office of Licorice Pizza (Superior Music) back then and had lunch with Marty and Jim Greenwood one sunny afternoon at some flashy restaurant on the Strip. Marty and I ended up talking about a number of bands from Europe and the UK, some of which were either distributed by or signed to labels with JEM connections. I was this close to saying okay when…. well, I don’t know what the hell happened, but I didn’t do it. I liked Marty, though. We had a lot in common when it came to music. A lot. Well, Marty is stepping back into the music business after a layoff of, what? Three or so decades? Maybe more? And the fact that he is stepping in with How I Won the War counts for a lot. Marty has always had an ear (two, actually) and knew how to us it (them). 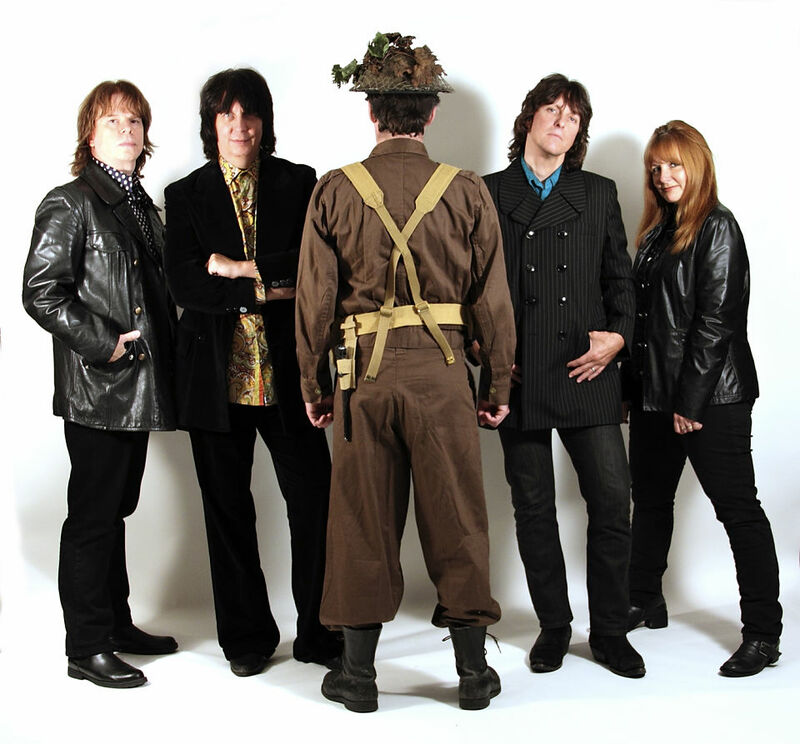 For you old Grip Weeds fans, I could tell you that the band is still intact, both personnel and sound-wise, and that this is another step forward. I won’t, though, because the Weeds have stepped as much in the direction of The Sonics as they have the standard psych bands of the sixties and early seventies, which I believe a direct influence of John Lennon (who starred in the film of the same name). The twelve-string has been pretty much jettisoned for the harder edged garage-sounding guitar, the beat is harder and it is for the better. Think of the earlier band as The Beatles, the new one as Lennon-Ono. I distinctly remember writing that you should turn the older albums up but I don’t need to say that here. This album is recorded loud to be played loud, as those old promo stickers used to say. This album is quite the surprise, and a pleasant one, in that the band sound stays intact while the power is amped up. The result is one ear-bending experience looking back to The War (which was won) and forward to The War (on the horizon). 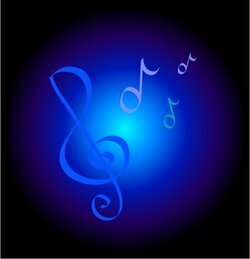 Just as we are in a perpetual state of war, we are in a perpetual state of music. Think about it. Then go listen to it. Then buy it. It is worth it. I knew this musician named Mark Bates who contacted me a handful of years ago to see if I would listen to his album. I listened. I liked. Then I wrote a super-positive review in which (I hope) I stated that I was looking forward to whatever else he was going to put on the table. Then… nothing happened. I waited and waited. Nothing. 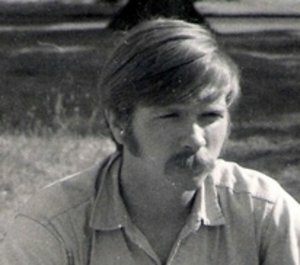 Until just a few months ago when a musician I am quite high on, Jeff Ellis, placed a link to his website, only by that time he had become Mark Cline Bates. 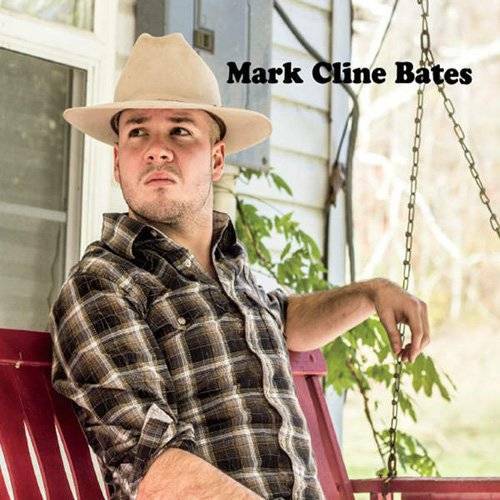 Couldn’t be the same guy, I thought, because this Cline guy was sporting a cowboy hat and looked ready for a rodeo and that certainly was not the Bates I had reviewed. So I contacted him and, sonofagun, it was the same guy. He had, in fact, just released an album, so I asked if I could hear it. He consented. Imagine my surprise when I clicked on the first track and got a blast of Nashville. Now, anyone who knows me knows that Nashville and I are not on speaking terms, but there it was, clear as a bell. I envisioned him in trench coat and one of them pleather cowboy hats scrunched up like a horse sat on it (or worse) and, truth be told, I almost didn’t listen past the one track. But I did and while the instrumentation and guitar sound stayed constant, the music turned much to the better— so much so that it has been in high rotation here at Casa del Gutchola. No real Nashville connection outside of a few short steps into formula and anyone can be forgiven the occasional chord progression as long as it is not overdone. This album is another step in the right direction, as far as I’m concerned. Bates leans country but I love country too— I just don’t like the formula crap Nashville has been peddling. Bates also leans rock and, here and there, folk, and he does it as well as most musicians. In fact, there are moments which catch me stopping what I am doing just so I don’t miss the pedal steel here or the chorus there. There are lots of good moments, such as the crunching guitar and electric piano on Comfort In the Darkness or the old-timey fiddle and lyrics straight out of the honky-tonks on Drinking Tonight to Get Drunk or the rock-steady feel of Know the Touch or the feel of desolation of The Last Six Months, a country-talker which tells the tale of a life gone awry. All songs would sound good on any real country musician’s album. They sound great here. If I ever meet Bates, I’m buying him a beer. Or a coffee. I can’t really tell if these songs are all about him or are just experiences he has seen from a distance. I hope it’s the latter. He’s much too good of a songwriter to let life drag him into the gutter. Rick Maddocks is a visionary. I first heard him when he was with BC band The Beige which then had an album titled El Angel Exterminador, a mindblast of an album in nine movements, a couple of them sci-fi ablutions of sorts. I still haven’t quite figured out what it is about (it tells a story— I checked with Maddocks to make sure) even though I have been listening on a lengthy but regular loop since 2010. There were some wild and adventurous songs there— I Got a Job in the Belly of the Beast and King George worthy of mention here. Shortly after the album was released, the band split so that the members could work on projects of their own, one being a rock opera of sorts based on The Last Supper. I’m sure there were other projects as well, but the various members were too busy and perhaps too complacent about interference beyond the pale to keep me informed. Except Maddocks. He contacted me a good year ago, saying that he and a new group were in Arizona working on a new album and he would let me know when it was finished. A few weeks ago, a package shows up in the mailbox (the actual physical one and not virtual) and Cabalcor was immediately slipped into the CD player. As I listened, I scanned the inserted one-sheet (that’s a promo sheet, for those who aren’t aware) which mirrored the info on the band’s bandcamp page (click here). Sun Belt’s collaborative work of fiction is a genre-defying chronicle of a tar sands company town. 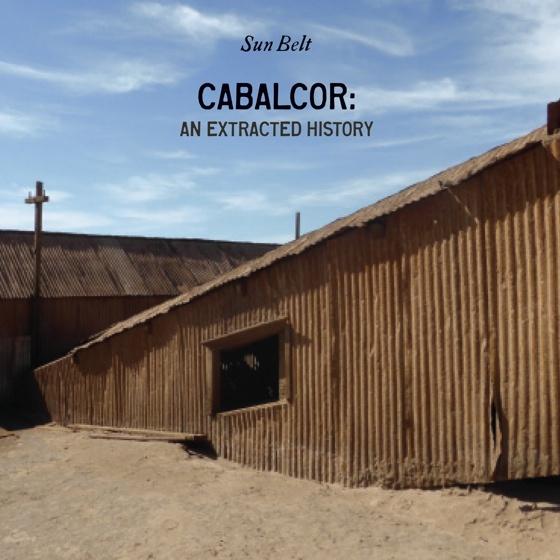 Drawing from an array of invented sources such as journals, film transcripts, environmental studies and police reports, Cabalcor charts the rise and fall of a mythical boomtown that, within the span of a century, becomes a desert wasteland. The multi-layered narrative is woven together by an extraordinary blend of texts, both black and white and colour images, and a full downloadable album of Sun Belt’s quietly surreal, dusty music. You see, it’s a book as well as an album. And it is about what I should have known Maddocks would be involved with. Music is okay and Maddocks is good at it, but he prefers, I think, to work with multi-media. Theater, music, film and prose. Anything and everything. And he, along with musicians of equal talent and vision, did just that. In the tradition of film, the songs are tied together by interludes, making one scene flow into another and perhaps giving the book, which I have not yet seen, a soundtrack . Sandwiched between the interludes are the actual songs with titles like Country of Madmen, Champion the Wonder Horse, and Pale Destroyer. Vocals with a country rock tinge, touches of jazz in the sound. Exceptional arrangements. Go into it thinking rock opera and you will find it quite impressive. Because it is. Shades of Little Lonely, who captured my attention with a video or two which had be enthralled with both her music and sense of humor. There is something in the voices or maybe the phrasing which makes me think of the other when I hear the one. A sense of pop and country pop of the fifties and sixties. Payne’s new album, High and Dry, captures that sound and feeling as well as anyone. I would go on, but I think the videos pretty much say it all. I love this lady’s music, and that of Little Lonely as well. James Harris Moore has recorded a few tracks with Sons of Bill‘s Sam Wilson producing. While I haven’t had the chance to really give the songs their just due, I will soon. This live video gives me impetus. Nice live track. Notes… Have we had enough of Seattle ’90s rockers Son of Man yet? I don’t think so. Here is another gem from the past. Filmed at The Central Tavern. SoM vocalist Tal Goettling, by the way, has been in the studio with present day band Lavacado recording a new album. I saw these guys play as a trio some months ago and they rocked the house! They are now four. Here is one of their earlier videos. And, of course, the video which brings back memories of what the early ’90s were like for a good handful of Seattleites. This entry was posted on April 7, 2015 at 2:33 pm and is filed under Opinion with tags Claire Holley, Dan Phelps, DBAWIS, Dead Oceans, Don't Believe a Word I Say, Frank Gutch Jr., High and Dry, How I Won the War, Indie Artists, Indie Music, James Harris Moore, JEM Records, John Martyn, Lavacado, Little Lonely, Mark Cline Bates, Marty Scott, Melissa Payne, music, music videos, Portland Beavers, Primrose Green, Records, Rick Maddocks, Ryley Walker, Sam McDowell, Satchel Paige, segarini, Son of Man, Sun Belt, the grip weeds. You can follow any responses to this entry through the RSS 2.0 feed. You can leave a response, or trackback from your own site. I would like to submit our latest CD Nezrok “Bumper Crop”. Please let me know if you would like a physical CD sent, download card or if I can provide any other information.